In particular, we use without any problem. I think that I will buy from now on. This review is about item#16742863. Packing is simplified. I was worried that there was no label because of the disposal product. This review is about item#16742888. It is cheap but there is no problem with the quality of the paper. I always think that there is A4 size. It is a product that has been repeating many times. This time, I bought a box by saying that it would be obsolete and a value product. As a product, we are satisfied except that it is very difficult to stick the seal when we wipe the wrapping paper and take a seal. But, do you buy a box this time, packaging is too shabby? The bottom part of the inner box was torn partially, and the tape was broken. Well, should I be satisfied if I think about the value-added price? Although it is a repeat, compared with the small diameter object, I can set it firmly and I am glad that the paper that comes out is not rounded, so I bought it again. I went to the stationery store to buy it, but it is a good thing without changing anything with monotaro san. This review is about item#16742872. 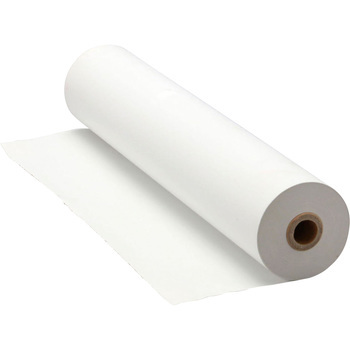 Thickness of the paper became thinner than the old product, but it can be used without problems. However, the seal that holds the paper is hard to peel off, it scratches with the nails and it scratches the paper. I hope that you can improve around that a bit. It can be used without any problems at a low price. I am planning to let you order from time to time. It is excellent in cost performance, it is cheap so it is always in stock. I use a lot of fax rolls, so the price is cheap and it is very helpful.